Who said it was ever too early to celebrate Christmas? 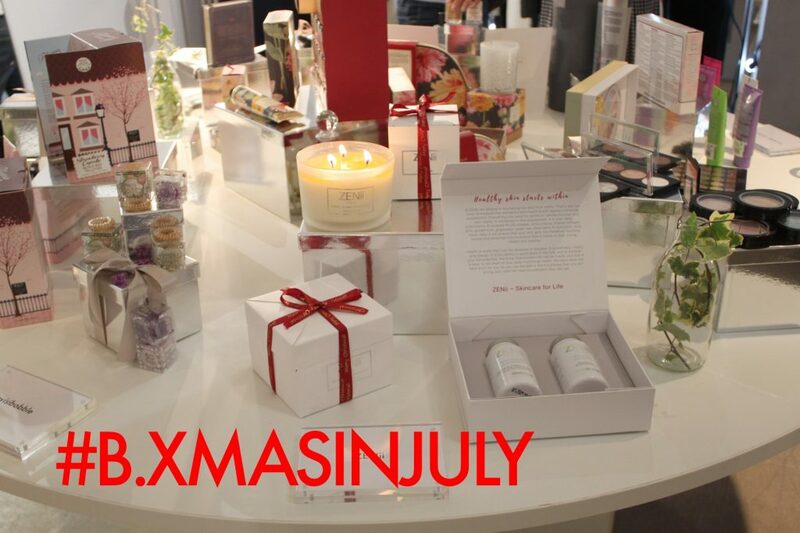 Not us, that’s why we recently launched our b. Christmas in July Press Day! We, at b. became santa’s little helpers and transformed our showroom into the most magical, festive room you ever did see. We showcased some of the most sought after Christmas ranges and gift guides to some of our favourite bloggers and magazines. Attended by the likes of The Blogger Programme (www.thebloggerprogramme.com), Spell Magazine (www.spellmagazine.co.uk), Taislany (taislany.com), Simone (@bntmsimone), our press day went down a treat. With holly, merry candles, and most importantly, Christmas music, we created an atmosphere of festive fun for all who attended! As well as this, Nonna’s Gelato (www.nonnasgelato.com) provided the most deliciously appropriate ice creams, ranging from Mulled Winterberry Ripple to Brand Butter. From Kitsch, to Tweezerman, Mark Hill, to Lottie London, Formula10.0.6 to Public Desire, Missguided to Newgate, Charles and Keith to LOLA Make-Up, we showcased it all!